Every year, Mel Cole throws a big birthday party with and incredible raffle full of awesome prizes. Mel picks his favorite charities to donate all of the proceeds from the raffle to. We are honored to be selected as one of the benefiting organizations for the third year in a row! 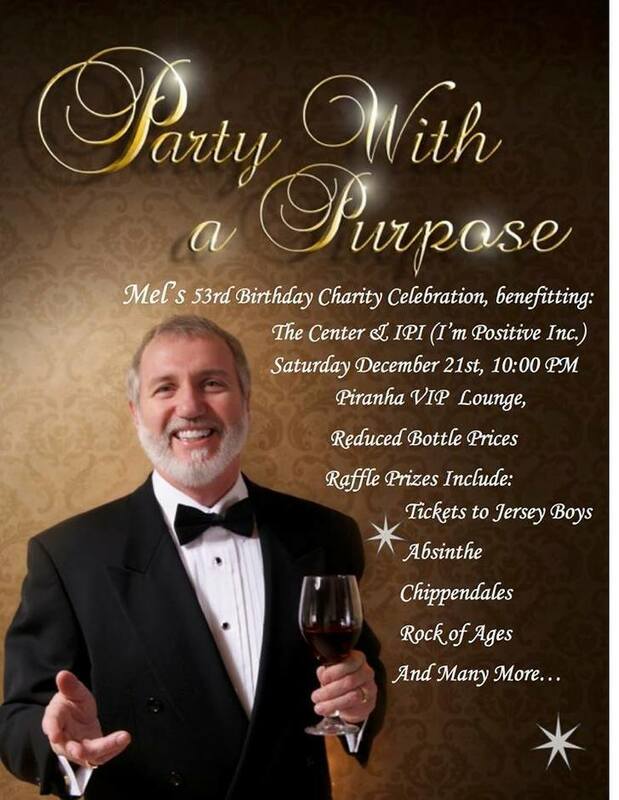 Everyone at I'm Positive, Inc. would like to thank Mel for his extremely generous support!